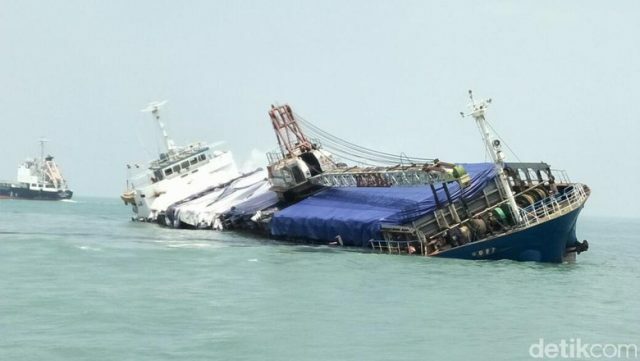 The 83 meter long, 1369 dwt cargo vessel KM KTC 1 ran aground off Karang Jamuang Island near Surabaya, Indonesia. 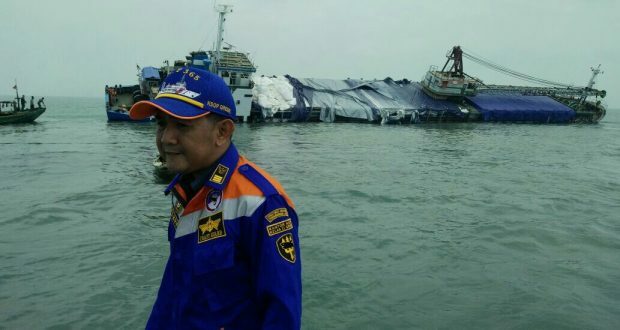 The KM KTC 1 had departed from Tanjung Perak with 3050 tons of limestone bound for Pekanbaru when it ran aground on the rocks. The cargo vessel sustained hull breach and suffered uncontrolled water ingress. Unable to control the flooding, the KM KTC 1 developed a heavy list to starboard. Authorities were alerted and all 16 crew on board the KM KTC 1 were safely evacuated. No reports of injuries. Reports state the vessel had been overloaded beyond the amount of cargo it was permitted. Authorities were onsite and monitoring the situation.